Grow your business and maximize selling opportunities with Sabre® CarCommerce – the platform that connects you with buyers in the world’s largest travel marketplace. The Sabre® global distribution system (GDS) offers an array of products to efficiently market and book car rentals and special equipment through an easy-to-use, real-time interface. By utilizing Sabre CarCommerce, you have the ability to efficiently and effectively increase car bookings to both leisure and corporate customers worldwide. 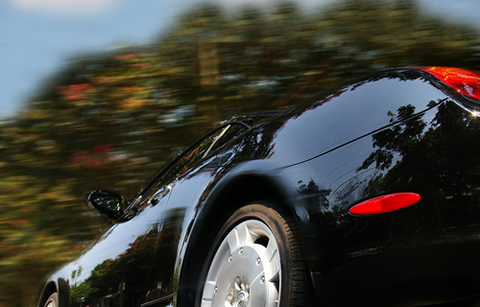 Sabre CarCommerce enhances the technology and systems you already have in place. This creates comprehensive and efficient car distribution through a network of dedicated Sabre ConnectedSM travel agents, OTAs and corporations. As your technology partner, we deliver your product globally and help grow your revenues through an efficient and profitable distribution channel. Draw attention to your additional offerings and make your brand stand out. Agents can shop, price, book and receive confirmation of special equipment and additional services. Ensure travel agents they are getting your best available rates with Car Rate Assured™. Agents can book confidently knowing they’re offering the traveler the best available rate. Suppliers who have implemented Car Rate Assured have seen up to a 10 percent increase in Sabre bookings year over year. Differentiate yourself from your competition by publishing your commission rates in the car shopping path. Agents can quickly see which suppliers and rates offer the best commissions. Information is shown during shopping for easy comparison and is stored in the segment for agency operations and back office processing. Sabre CarCommerce gives you access to our advertising and marketing tools. With Sabre® Media Solutions, you target the most qualified audience at key points during the travel buying cycle. Sabre CarCommerce presents the opportunity for you to reach beyond your home market and tap lucrative bookings from leisure and corporate travel agencies worldwide. The success of CarCommerce can be gleaned from the numbers – over 26 car suppliers have already chosen to partner with us to supercharge their sales opportunities. And with our rich history as a successful travel technology pioneer, you can be sure that your product will be sold and differentiated with the best mix of proven technology and latest innovations available. Are you a Black Car/Limousine Supplier?